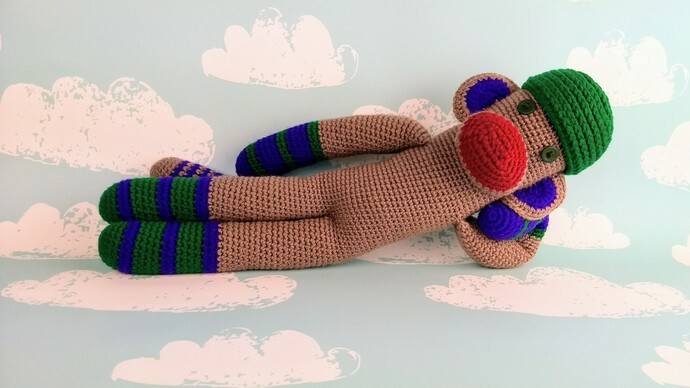 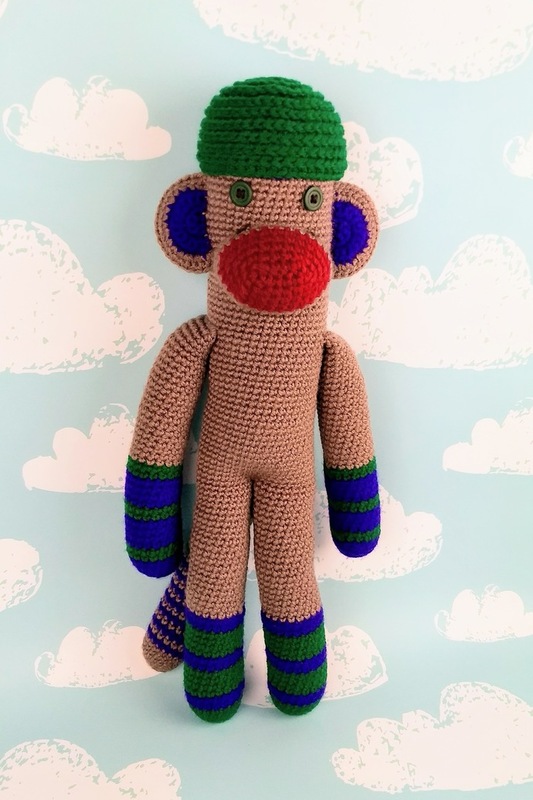 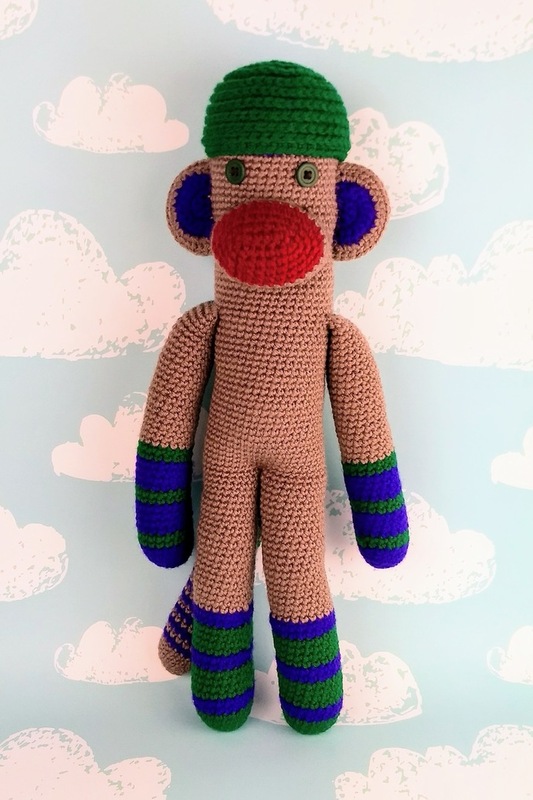 This green and purple striped monkey is in stock and ready to ship to you! 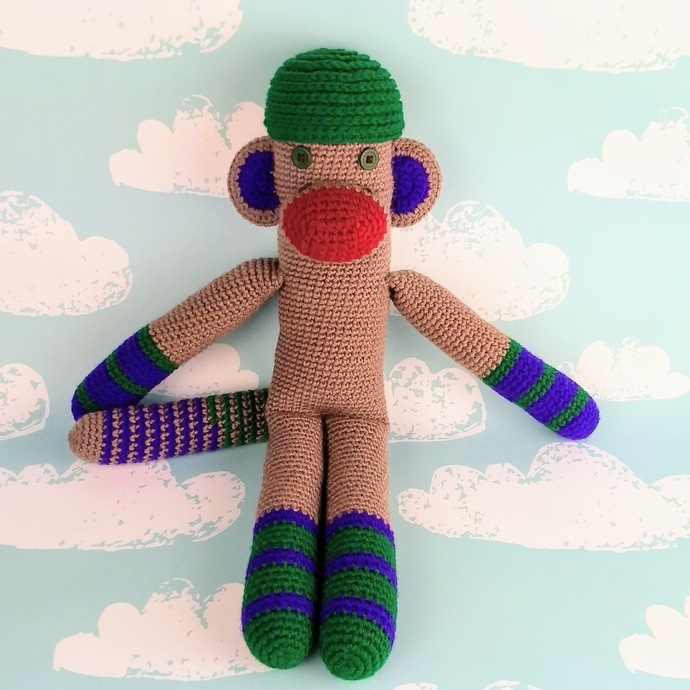 Monkey has a removable green spiral braid beanie and green button eyes. 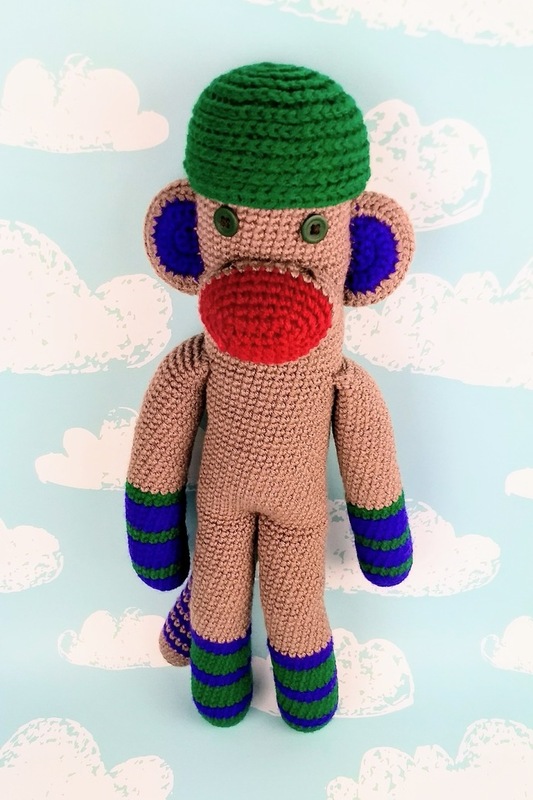 A purple head is hiding under monkey's hat. 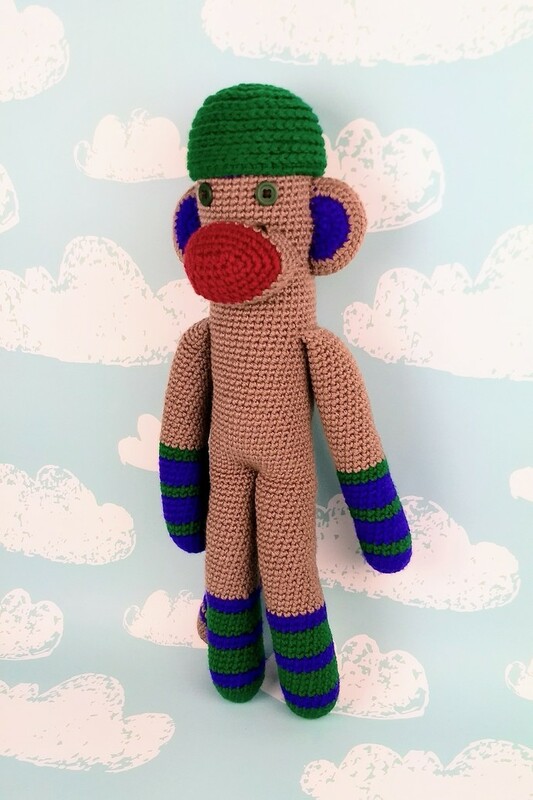 Like all my monkeys, this one stands about 18" tall. 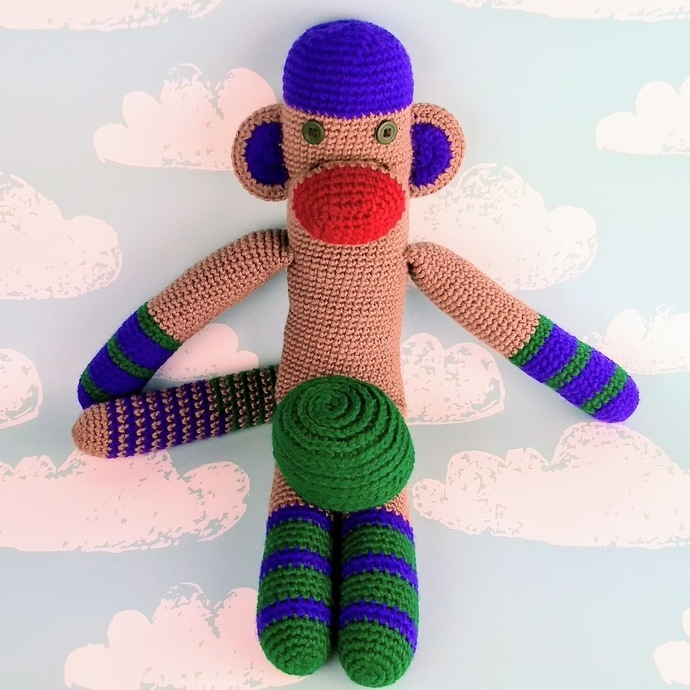 Monkey is made of machine washable acrylic so messes can be washed away. 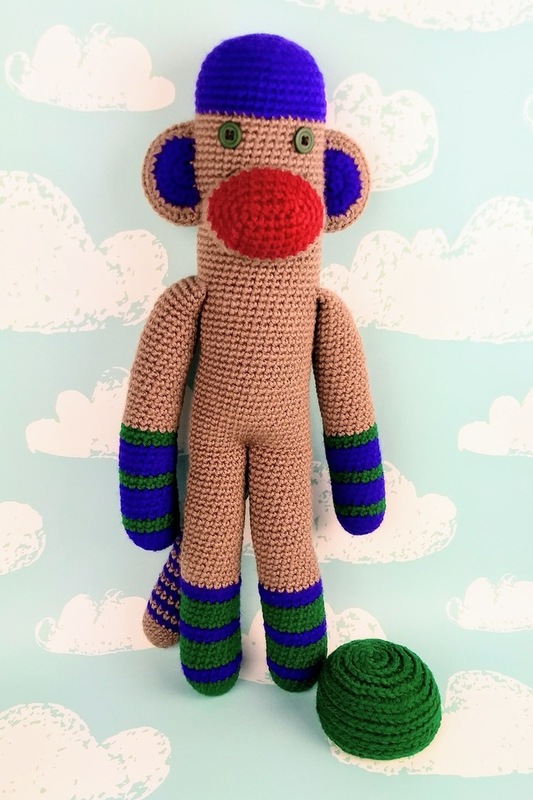 Because monkey has button eyes, this monkey should not be given to children under 3 years of age or anyone who might be tempted to rip those buttons off and swallow them.